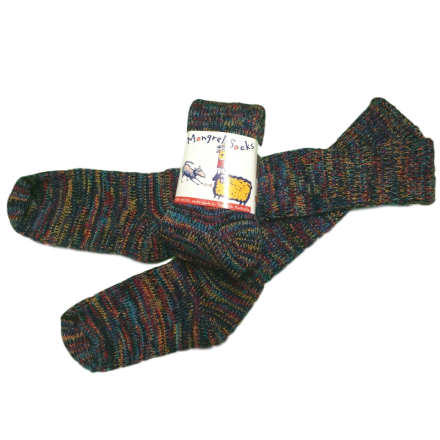 Still made on antique sock machines from Tasmanian grown Merino wool in a multi-coloured blue, purple, black, red, aqua fleck. Machine washable to 30 degrees with non-restrictive looser tops for comfort and healthy wear. Nice and long for warmth.